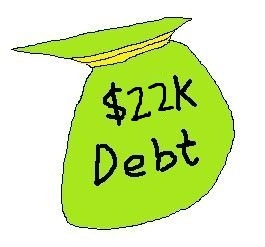 In Mar 11, I had recalculated my total debt which is totally from the mortgage loan of my flat to be $25K. The calculation is based on using the outstanding housing loan amount minus away my total family CPF OA amount. Today I have recalculated my total debt again, and the total debt has reduced by $3k to $22k. In my post on "What I hope to achieve in 20 years? ", I mentioned that I wanted to reduce my total debt to $0 within the next five years, Based on my conservative estimation, I think it is achievable by the end of next years. A little confused by your post. You mean that the gross debt minus your gross CPF OA balance = $22,000? Or that your mortgage loan net balance is just $22,000? My gross debt minus my gross CPF OA balance = $22,000. Shorter distance means shorter time to travel?